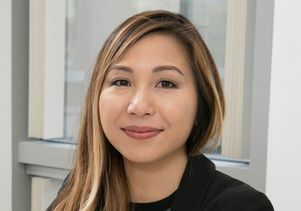 Elaine Hsiao, assistant professor of integrative biology and physiology in the UCLA College, has been awarded a five-year, $2.5 million Ben Barres Early Career Acceleration Award as part of the Chan Zuckerberg Initiative’s Neurodegeneration Challenge Network. The award, announced today, will support her laboratory’s research on mapping cellular networks to better understand microbiome contributions to neurodegenerative diseases. Hsiao is among 17 researchers in the U.S. to receive the award, named for the late Ben Barres, an American neurobiologist at Stanford University who was a fierce advocate for young scientists, women, mentorship and diversity in science. She also has faculty appointments in the David Geffen School of Medicine at UCLA in departments of medicine and microbiology, immunology and molecular genetics. She and her research team reported in the journal Cell in May that they have identified specific gut bacteria that play an essential role in the anti-seizure effects of the ketogenic diet. This was the first study to establish a causal link between seizure susceptibility and the gut microbiota. Watch her TED talk on how the microbiome affects the brain and behavior. The awards launch the Chan Zuckerberg Initiative’s Neurodegeneration Challenge Network, which brings together research scientists from neuroscience, cell biology, biochemistry, immunology and genomics, along with computational biologists and physicians, to understand the underlying causes of neurodegenerative disorders. Only UCLA, Harvard, UC San Francisco and Caltech have more than one recipient of the Ben Barres Early Career Acceleration Awards. Inma Cobos, assistant professor of neuropathology in the David Geffen School of Medicine at UCLA, was also selected for this award. Elaine Hsiao, assistant professor of integrative biology and physiology in the UCLA College.